It's not surprising that Samuel Dashiell Hammett, creator of Sam Spade and a genius at weaving the dark and seamy side of life into entertaining mystery stories, began his career as an investigator with the Pinkerton's Detective Agency. Born May 27,1894 in St. Mary's County, in southern Maryland, formal education held no interest for Hammett and he quit school by the age of 13. After holding down a series of going-nowhere jobs, Hammett found steady work with the Pinkertons. Putting in six years with the detective agency, Hammett took a leave from his job in 1918 to serve in the US Army Ambulance Corps. Deployed for three years, he became ill and was eventually diagnosed with tuberculosis. Following his return from the front, an ailing Hammett grew increasingly discouraged with his work at Pinkertons where the company's focus was to quell strike breaking at unions. Hammett's personal politics were moving farther and farther to the left. Always an anti-fascist, Hammett would eventually join the communist party in 1937. Whatever Hammett's political views, including his efforts to keep America out of the war with Germany in World War II, he joined all Americans in his outrage at the attack by Japan on Pearl Harbor in December of 1942. Although he was too old to serve in the armed forces, Hammett used his fame to pull strings and enlisted in the U.S. Army in 1942. During the war he served his country for three years, stationed in the Aleutian Islands as editor of an Army newspaper. 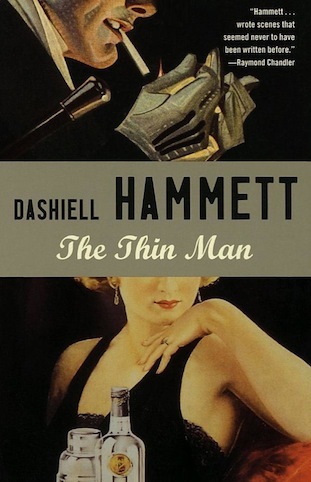 Dashiell Hammett had married his nurse,Josephine Dolan, in 1921 and the couple had two daughters. Hammett's infection with tuberculosis and doctor-ordered occasional quarantines added strain to the marriage. Additionally, Hammett's continuing bouts with the bottle and chronic womanizing spelled nothing but marital trouble. Dash and Josephine would eventually divorce in 1937. 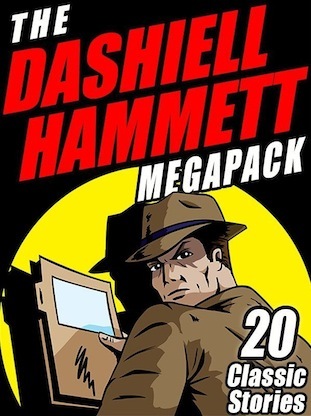 Ill health and his hard-drinking lifestyle, meant that Hammett could no longer find work as a detective. So, he turned his sights toward a career as a writer. His first literary efforts were gritty detective short stories about the hard-drinking life of private detectives. Well, as they say, write about what you know best. Hammett's dark realism paid off and by 1923, he achieved success with his story, The Black Mask. Hammett's literary creations included Ned Beaumont, from The Glass Key, a gambler who, like himself, suffered from tuberculosis and had a love affair with the bottle. By 1929, Hammett's genius was unstoppable. Beginning with the Dain Curse, he quickly had hits with The Continental Op, followed by The Maltese Falcon in 1930. Most popular was the hard-boiled detective anti-hero, Sam Spade. Hammett could also package mysteries with a lighter touch and many believed that the madcap couple, Nick and Nora Charles who debuted in The Thin Man in 1934 were thinly disguised versions of Hammett and Lillilan Hellman, his longtime lover. As writer's block stymied his works of fiction, Hammett became more active in left wing politics and was targeted by Senator Joe McCarthy. Dash plead the Fifth Amendment in 1951 and served 5 months in prison rather than identify members of the Communist Party. 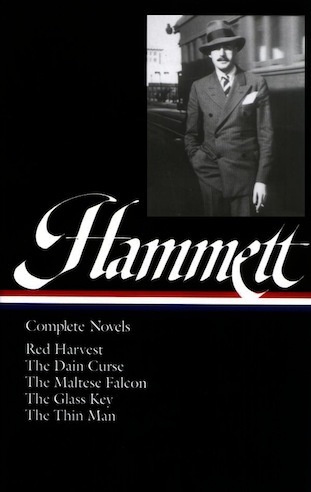 Following his release from prison, Hammett was unable to find work at the film studios nor did contracts come his way from publishing houses. Eventually he was reduced to teaching creative writing in New York City. His health, poor at best since contracting tuberculosis, was complicated by heavy smoking, alcoholism and venereal disease. With his health broken and no prospects for work, Dash took refuge in the apartment of Lillian Hellman during his final illness. While Hammett's fame was fading, Lillian Hellman was the toast of the literary and theater crowd in the Big Apple. She had received raves for her plays; The Children's Hour, Little Foxes, and Toys in the Attic. 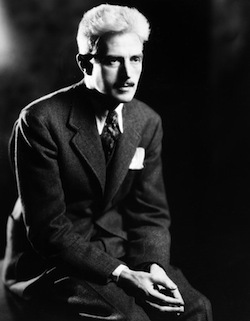 Generally acknowledged as the creator of the American hard boiled detective, Dashiell Hammett would soon die of lung cancer in New York City. Frustrated and forgotten, the celebrated author died penniless in 1961 but his contributions to the genre of murder mysteries will live forever. 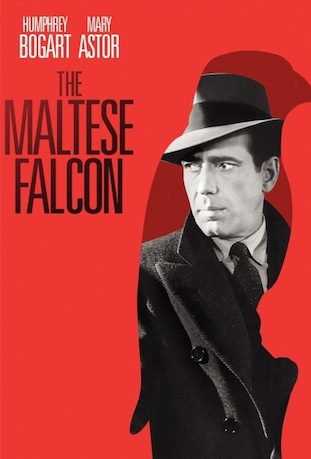 Read our review of The Maltese Falcon.